A man has been jailed for life for stabbing another man in the heart on a Darlington street. Michael Lawson, 34, from Appleby Close in the town, died in hospital shortly after the attack on Geneva Road in July. 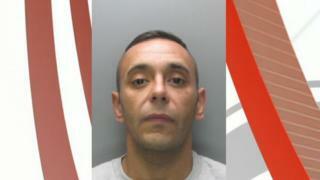 David Saunders admitted murder at an earlier hearing at Teesside Crown Court. The judge ruled that the 32-year-old, of Esk Road, should serve a minimum term of 22 years. Speaking after sentencing, Det Ch Supt Adrian Green, from Durham Police, said: "I hope today's sentence will go a small way to offer some conclusion to the horrible suffering of the family, who have supported the police investigation throughout. "Anyone who arms themselves with a knife to attack another deserves the sentence that he has received."